| Can You See Through White Contacts? White Contacts are some of the most popular Halloween Contacts available, but can you see through them? In short, yes, and no! It depends which pair you’re referring to. For example White Block Contacts, one of the most famous pairs (seen below) can be seen through perfectly. There’s a clear area in the middle of lens for your pupil which is the black dot in the center of each eye that you see out of. So then there are pairs like the White Mesh Contacts (seen below). 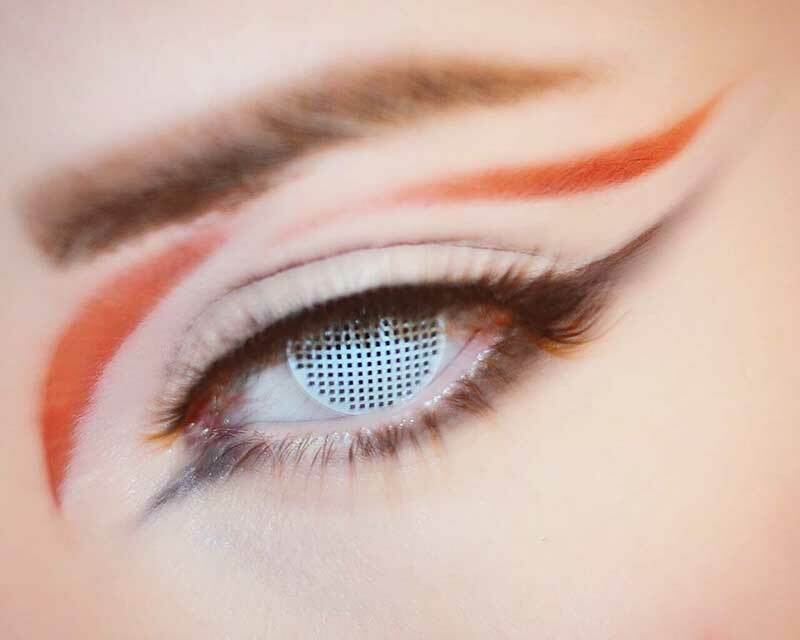 White Mesh along with any mesh style has some of the ink overlapping your pupil, therefor causing a slight obstruction of vision in order to create the intended special effect. 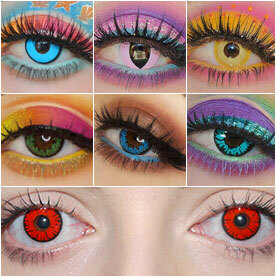 But you can see through Mesh Contacts too, just not perfectly. Most people experience a slight blur in their vision, other people occasionally express that the blur went away after some time and they can see without impairment. So due a large possibility of impaired vision from the Mesh Styles we always advise you not to drive when wearing mesh styles, or conduct any activity that a slight vision impairment could be problematic. These White Contacts are the top sellers at CamoEyes.com, and for good reason. They’re fit for nearly any costume, zombies, vampires, demons and the like. Buy Them Here!